2 Bedroom End of Terrace House For Sale in Exeter for Asking Price £350,000. 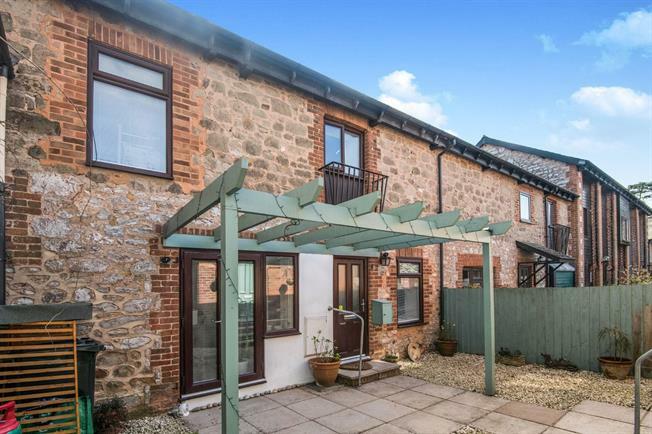 A refurbished and superbly presented barn conversion in a delightful courtyard location. The accommodation consists of the entrance hall, ground floor WC/cloakroom, fully refitted dining kitchen and a triple aspect lounge with double doors to the front and rear and woodburner. On the first floor are two good double bedrooms, both with fitted wardrobes and main bathroom with three piece white suite. Also with a front forecourt, mainly lawned side garden with access to Greenway, garage with utility area and a most useful loft with pull down ladder.